Blurb Description: The thrilling first book in a YA fantasy trilogy for fans of Red Queen. In a world where social prestige derives from a trifecta of blood, money, and magic, one girl has the ability to break the spell that holds the social order in place. I was very excited going into this book, because a) It was pitched as a book perfect for fans of Red Queen (which I ADORE) but b) mostly because the author, Rosalyn Eves is SUCH a great person to talk to (which I have) and I’ve loved following her story with her book on social media and well, I really wanted this to be my next favourite fantasy. One of my MAIN problems with this book was our heroine, Anna Arden herself. Through the course of the book, Anna wrestles with the decision of whether or not she should break the Binding spell – the one that holds all magic in a reservoir and allows only the Aristocrats to wield it. As described, the aristocracy’s (The Luminate) spell allows only them to access magic, and not common people whether they have an inclination or talent for magic. As spells have a tendency to break around Anna, the rebels try and convince her to break the Binding, thus making all equal. HOWEVER THE BINDING IS ALSO SAID TO TRAP CREATURES TOO HORRIBLE FOR THE REAL WORLD, ONES GUARANTEED TO MAKE YOUR STOMACH CHURN, which Anna SEES for the first time properly, then allows herself to fall under an illusion, sees it in her Third trip to the binding spell and GOES BACK TO BREAK IT ANYWAY. Which brings me to: I HAD A HUGE PROBLEM TRUSTING ANNA ARDEN. She was a child, with all her sixteen years of age, her heart and mind FLUTTERED towards any man that showed her attention (including her COUSIN and a man who was clearly also courting her SISTER) and her BIGGEST desire in life was to be a part of society. Age is not usually an issue (almost all YA heroines are sixteen) for me but Anna was immature and frankly, INCAPABLE OF MAKING A WORLD ALTERING, MONSTER UNLEASHING DECISION BY HERSELF. She also refused to listen to others around her, ask for help, try and UNDERSTAND her power and merely flounced around talking about belonging in a world she intended to change. I also kept flitting back to the Spiderman Quote, “With great power comes great responsibility” and while Anna had a great power, I DIDN’T FIND HER RESPONSIBLE AT ALL, and the power that she had – NOBODY UNDERSTOOD IT and so how could you possibly use something so volatile to alter a centuries old spell? 2) The secondary characters like Noemi, Gabor, William and Matyas. In conclusion, though I WANTED to fall in love with this book, I didn't. There were a LOT of good elements, and a few bad ones, and I will definitely be reading the next installment! 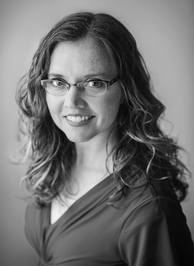 Rosalyn Eves grew up in the Rocky Mountains, dividing her time between reading books and bossing hersiblings into performing her dramatic scripts. As an adult, the telling and reading of stories is still one of her favorite things to do. When she's not reading or writing, she enjoys spending time with her chemistry professor husband and three children, watching British period pieces, or hiking through the splendid landscape of southern Utah, where she lives. She dislikes housework on principle. Her first book, BLOOD ROSE REBELLION, comes out Spring 2017 from Knopf. 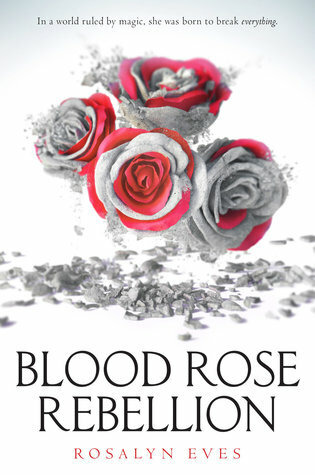 Have you heard of Blood Rose Rebellion? Have you gotten your hands on it yet? Also, which fantasy books have the PRETTIEST covers according to you? I'll be replying to comments over the week (Finals have left me with NO TIME!) and I'm so sorry for the delay in visiting your lovely blogs.